Where One-on-One Guidance isn't a Luxury. Difference When It Matters Most. Haliczer Pettis & Schwamm’s attorneys are top litigators who have worked on both the plaintiff and the defense side. As an AV-rated firm, we maintain the highest ethical and professional standards and provide personalized representation tailored to fit our clients’ unique needs. Click here to arrange a confidential consultation. 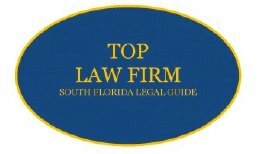 Our firm’s team of attorneys have vast experience handling complex civil cases, with a focus on medical malpractice, personal injury, wrongful death, catastrophic injuries and business disputes. Our attorneys concentrate on delivering superior client service and achieving the best results. When something goes wrong, you’ll want a law firm that has stood the test of time. Established in 1996 by co-founders James S. Haliczer and Eugene K. Pettis as well as Richard B. Schwamm, who joined the firm’s Orlando office on its first day of operation, we are proud to be entering our third decade, serving the needs of clients in the state and federal courts throughout the State of Florida. Our attorneys have more than 125+ years collective experience litigating complex civil cases. We know how to build a compelling case that gets the results our clients deserve. The attorneys at our firm have investigated and litigated more than one thousand medical malpractice cases. This collective experience not only gives our clients a competitive edge in the medical malpractice arena, it allows us to fully evaluate injuries and damages in all types of personal injury and catastrophic injury cases. When you work with our firm, you can take comfort in knowing that we focus 100% of our efforts on our clients. Our attorneys will answer your questions and keep you informed throughout the entire course of your case. Respected and Trusted by Peers. Attorneys throughout Florida that when they have a medical malpractice or personal injury case that is beyond their expertise or resources, they can work with us as co-counsel or refer the case to our firm. 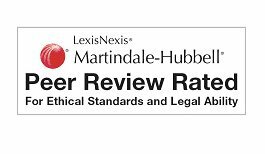 We are respected by our peers and all of our senior partners have earned Martindale-Hubbell’s prestigious “AV rating” for their high ethical standards and professional skills. We are smart, tough trial lawyers who will fight aggressively for your rights through trial, and even through the appellate process. Our opponents know that we are a powerful team that has what it takes to prepare and win a case, no matter how challenging or complex. At Haliczer Pettis & Schwamm, we measure success by the individual outcome, not the numbers. We are laser focused in our approach, purposefully limiting our caseload to ensure that every client receives personalized support and exceptional legal representation at every step. While we pride ourselves on being aggressive advocates, we are “counselors at heart.” Our lawyers take the time to listen and provide one-on-one guidance and support at every step of the legal process. Our diversity of gender, race and ethnicity is a strength that we are proud of. We are truly a reflection of the people we counsel and represent. Our clients come to us because they are looking for results. Our lawyers have a proven track record of success, recovering more than $50 million for our clients. As a co-founder and managing partner of the firm, Mr. Haliczer concentrates his practice on complex civil cases involving medical malpractice, personal injury/wrongful death and business litigation. He is a top-tier trial lawyer who has consistently been listed in Best Lawyers in America and was selected as the 2015 Miami “Lawyer of the Year” in Medical Malpractice Law. A co-founder of our firm, Mr. Pettis is not only experienced in the courtroom, he is a leader in the legal community. He has served as a past President of the Florida Bar and has earned numerous awards throughout his career, including being listed in The Best Lawyers in America in the areas of medical malpractice and personal injury and employment litigation, as well as being repeatedly named to Florida Super Lawyers. A partner with our firm, managing our Orlando office, Mr. Schwamm handles a wide range of complex civil cases, including medical malpractice, catastrophic brain injury, child injury, and wrongful death. He has been named to Florida Super Lawyers and is frequently called upon to lecture on critical medical and legal issues at seminars throughout Florida and across the U.S.
Making a difference means more than just being successful in the courtroom. HPS actively supports local civic and charitable groups as well as professional organizations. Members of the team lead various initiatives that help give back and strengthen surrounding communities.